The Zika Virus is one of the most recent epidemics to hit the globe. While young and healthy adults can keep safe, seniors are the most susceptible to this disease. Harrisburg home care experts recommend all seniors to be careful of this disease and take precautions when planning a trip abroad. Here’s what your loved one needs to know. Researchers believe that Zika was first transmitted from mosquitoes to humans in 2007. Since then, it has spread to almost every continent in the world. The most severe outbreaks have taken place in warm and humid countries, such as Brazil, El Salvador, Haiti, and Honduras. While further studies are needed, most doctors agree that the Zika Virus can be transmitted through direct contact with blood, blood transfusions, sexual contact, and mosquito bites. Flu-like illnesses are dangerous to those who have compromised immune systems. While younger adults can typically fight off the infection, seniors often develop complications that can become fatal when left untreated. These complications may include a variety of medical issues such as nausea, a high fever, diarrhea, and migraines. People over age 65 should take these side effects very seriously. Seniors who are exposed to Zika have a much higher chance of developing a unique condition known as Guillain-Barré syndrome. This syndrome forces the body’s immune system to attack the nervous system as if it were a part of the virus. Temporary muscle paralysis, vertigo, hearing loss, blood clots, and pressure sores are all common side effects of Guillain-Barré syndrome. In most cases, seniors who travel the world should not cancel their plans because of this virus. Taking a few precautionary steps can drastically reduce their risk of developing Zika and many other similar illnesses. These steps include wearing long-sleeved clothing whenever possible, using EPA-registered insect repellant, and avoiding areas that are particularly unsanitary. Those who show any signs of an illness while traveling should immediately head to an emergency room. Having a 24/7 caregiver can be helpful for identifying health changes in seniors and alerting a doctor immediately. For high-quality live-in caregivers in Harrisburg, seniors and their families trust Home Care Assistance. 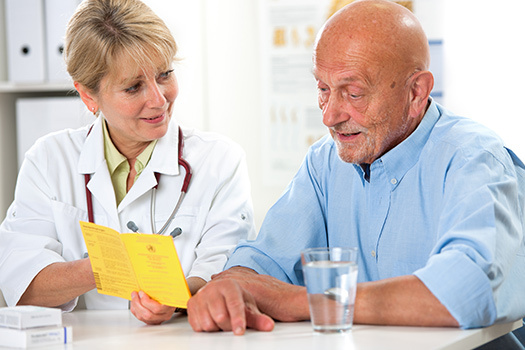 Our team of professionals offers medication reminders and can help seniors maintain various aspects of their health. To learn more about how we can help keep your loved one in good health during his or her next big trip, get in touch with one of our Care Managers today at (717) 540-4663. Should Seniors Consider Insulin Therapy to Manage Diabetes?